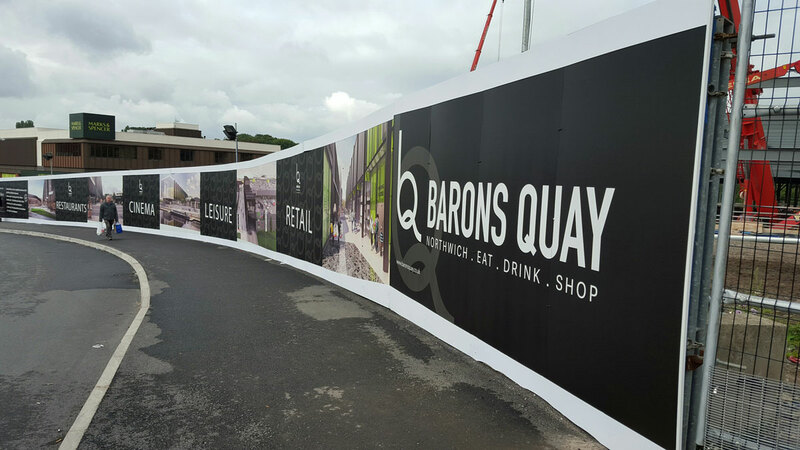 Commissioned by Cliché Marketing in 2015, Spiral Colour’s Hoarding Printing specialty group designed and installed nearly 300 feet of Dibond hoarding for a riverside property development. The Cheshire West & Chester Council development lies along the River Weaver, in the Northwich town center, and will feature, upon its completion, 320,000 square feet of retail, leisure and parking space. The development is part of an extensive expansion project that will provide 1500 local jobs and create a series of restaurants, cafes, and community spaces. A full site survey was conducted in order to ensure the correct placement of the hoarding. This additionally enabled Hoarding Printing with the ability to send an InDesign file of the hoarding directly to the designers at Cliché where they were able to add graphics and see the project to scale. It also enabled the designers the ability to foresee any technical problems they may find in the field in terms of sloping or other topographic issues. After design approval the scale diagram was “saved as individual panels” meaning the separate 8×4 Dibond aluminum composite panels were direct printed with the desired graphics. “Dibond was used due to its durable nature, meaning it would not need to be replaced during the lifetime of the project. The boards were printed on our Jetrix Flatbed in full high resolution CMYK color. 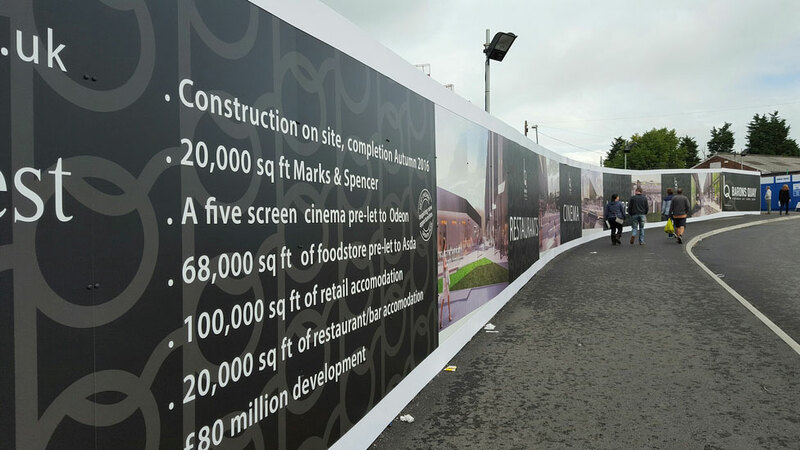 This ensured that the boards were high quality and really brought the project to life,” explain the hoarding specialists at Spiral Colour. 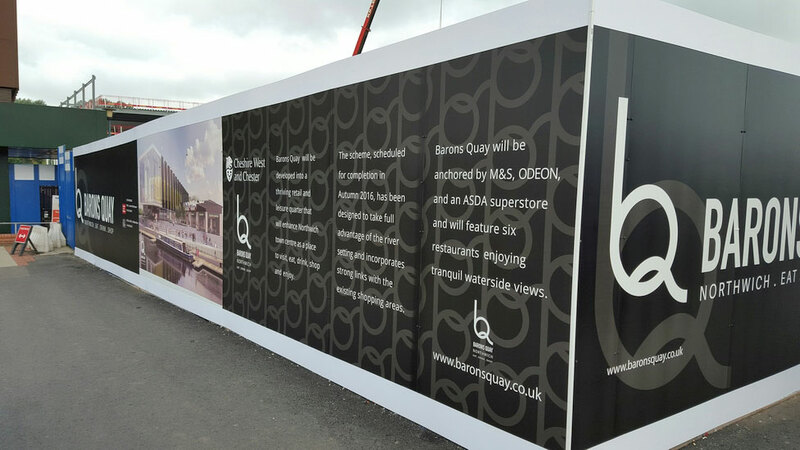 Hoarding Printing’s in depth preparation work allowed for easier on site assembly, as they explain, “The flow of the graphics was made possible by adding batons to the existing hoarding. 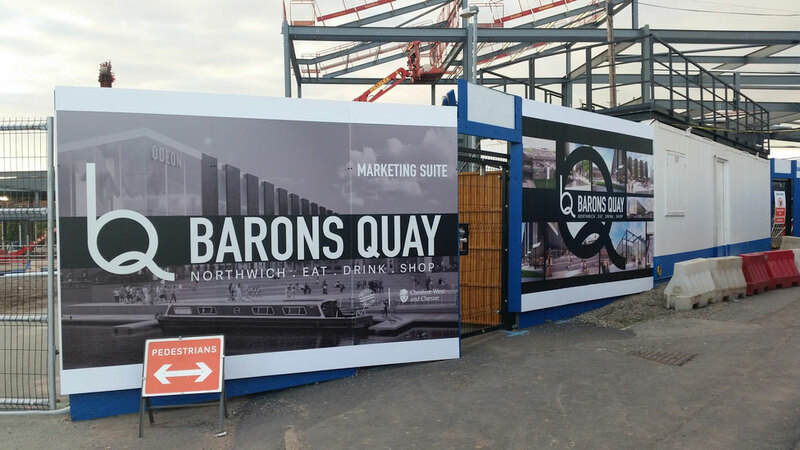 Headers and kickers boards were also added to cover any face fittings and to hide any staggered panels.” The design is a seamless array of visuals along the public walkway that engages passersby while informing them of the new development’s happenings and what’s to come.